Naked cakes are a great solution for the non-baker, non-cake maker, non-sweet eating person in your life. And I raise my hand high! I cannot ice a cake for the life of me and since I bake a cake like never it is not on my highest priority to learn how to do. But, I CAN make a naked cake- just a touch of frosting and flowers. 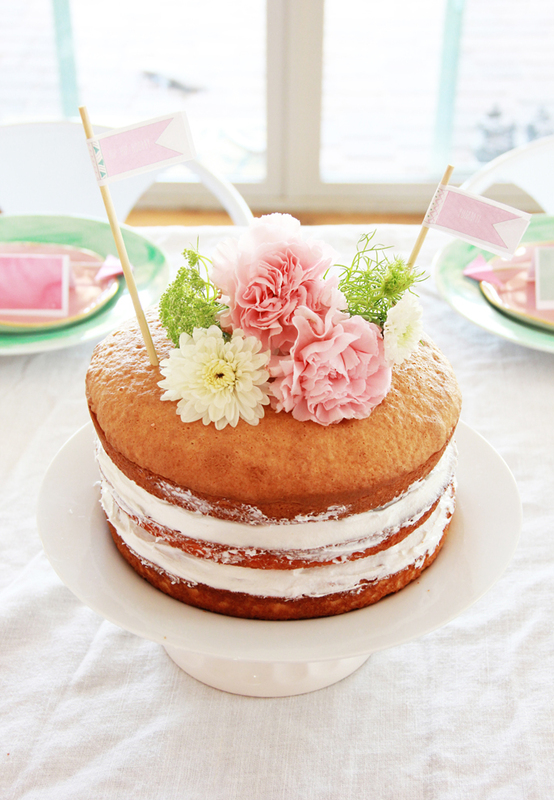 Flowers make everything better, even something as awesome as cake. Place the naked part of the cake on top of the icing. 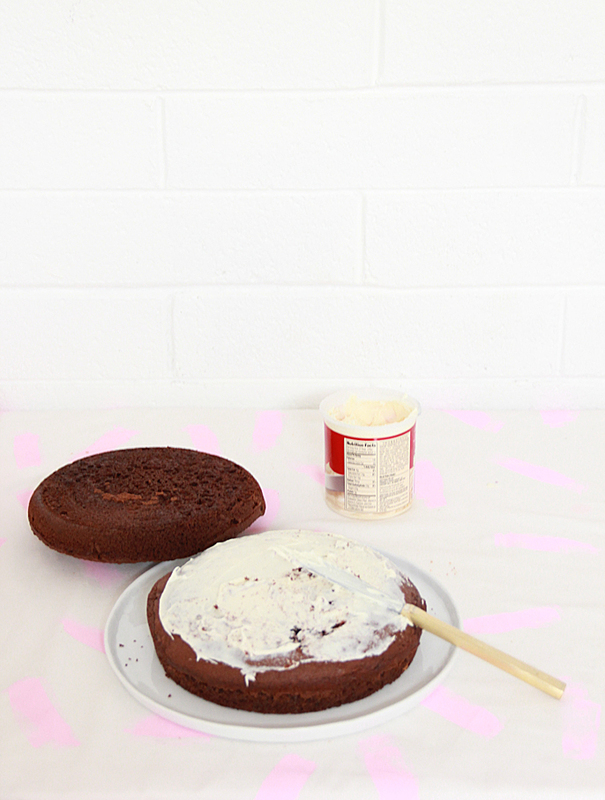 And this is my hack- I use a paper towel to ice a little bit of the outside of the cake. 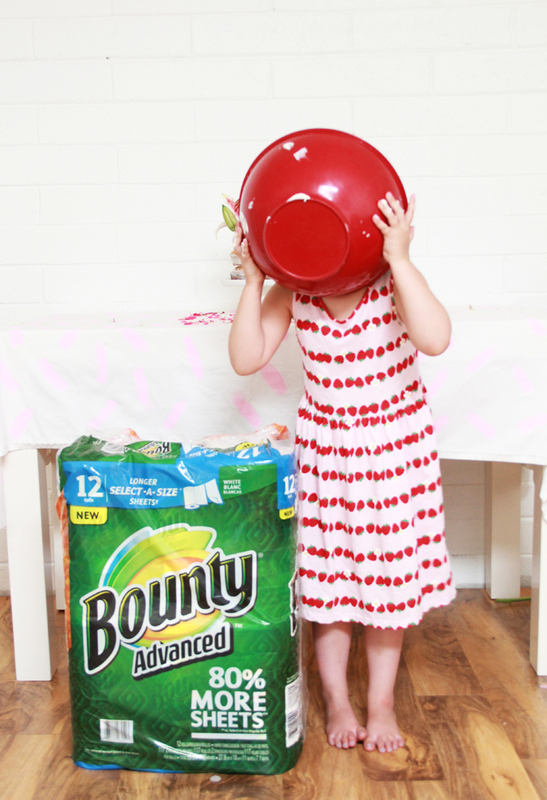 I like that I can select a size with Bounty Advanced (I get mine at Costco!) 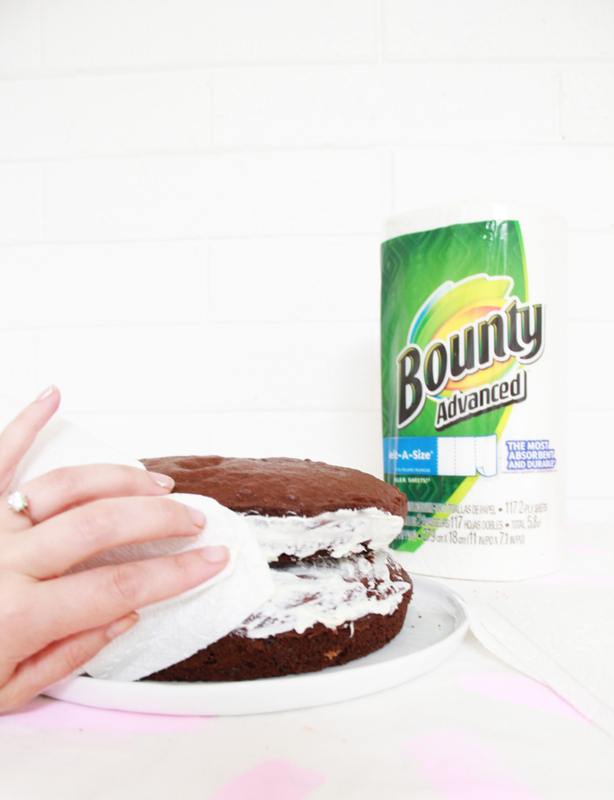 as you do not need a full sized paper towel to spread the icing. I like to use a paper towel to ice the outside since I can direct the icing with my finger much easier (and avoid getting the icing all over my finger) I also use the paper towel to wipe off excess icing if (when) I make any errors. 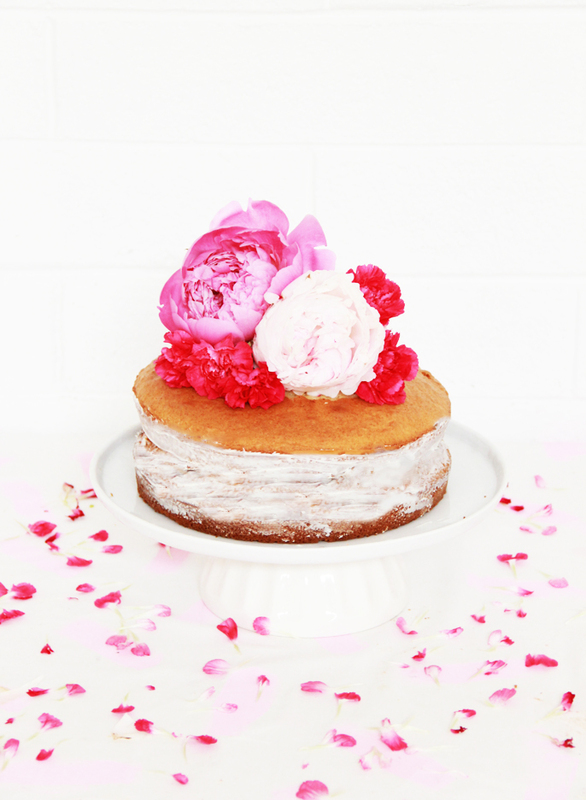 Peonies are in season and I could not resist topping the cake with some. 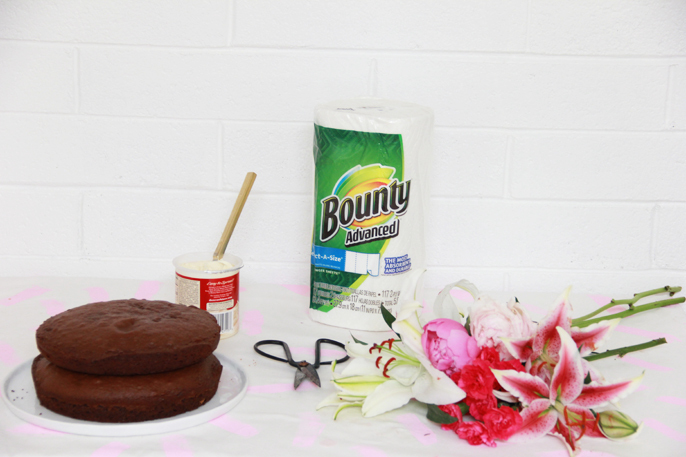 Trim the flowers with your scissors and add to the top of your cake. The girls helped bake the cakes. Kalia asked me if she could lick the bowl and I said sure and went on to wash some of the dishes. I turned and she had her ENTIRE HEAD in the bowl. I asked her to reenact it for the blog- And she asked me to add frosting again to the bowl (girl knows how to strike a bargain ;). She had cake batter, icing on her forehead, in her hair, everywhere. Haha, it was a mess, but not one I was annoyed cleaning up. The messes are what make life interesting. And both my girls certainly live by that statement. Post sponsored by Bounty Advanced Paper Towels. All opinions are my own, thank you for supporting sponsors that make A Bubbly Life possible!